My daughter, Erin, loves cats. And she loves to read. She especially loves to read about cats. Her love is what inspired me to make my first quilt - the Krazy Katz quilt. I designed the quilt to have a bookshelf surrounded by cats - featuring Erin's real life cat - Fluffy. He is the orange and white one. Erin saw my sketch and drew a little mouse on the shelf next to the sleepy kitty. Since this was my first attempt at quilt-making, I searched a lot of terms on the internet and was usually directed to the Generations web site. So glad to have had the help to see this project through. I'm sorry Anonymous, but I do not have a pattern for this quilt. This is so-o-o-o-o adorable! I want it! Thank you, Betty and Evelyn, for your kind comments. I appreciate them. 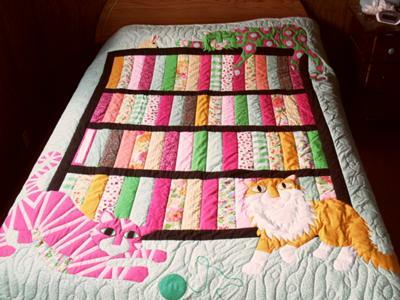 It seems there are a lot of people out there who love cats and quilts! My 6 year old daughter and I are both cat lovers and love this quilt. You did a wonderful "cat"tastic job! Congratulations. Thanks for the compliment, Helen! Glad you like my quilt. Love this quilt...you are talented! Thank you, Cath and Caroline! Your praises for this quilt are making me blush! Thank you so much for sharing your thoughts with me. It is truly appreciated. Congratulations Lorna on a wonderful piece of work. I cannot sew. I was once thrown out of a sewing class for being "too clumsy". So this quilt just amazes me, and the fact that it is your first is even more amazing. It's absolutely beautiful, and what a lovely thing for your daughter to be able to keep for the rest of her life. Thank you, Julie and Jo! 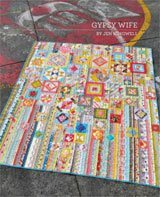 Great to hear that Julie had a similar first experience quilting. What we won't do for our daughters! Also, thanks especially for the welcome. 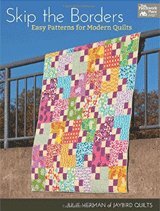 As an expert quilter who has taught many, many classes on beginning quilting I am amazed that this is your first quilt! You should see my first quilt---It is what I use to wrap my sewing machine in before I put it in the carrier to take to classes or my sewing machine dealer. Unlike yours mine was never finished and I did not design it. 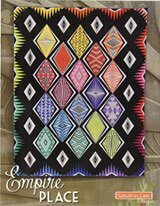 I salute you for your wonderful design---I did not start designing my own quilts until about five years after I started quilting so I am so impressed with your quilt. As a cat lover and someone who has a degree in writing I just love this quilt and I think you have the makings of a quilt designer. 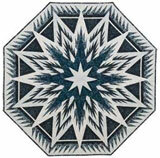 If you would allow me to buy the quilt pattern from you I would love to make this quilt. 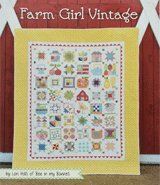 Let Generations Quilt Patterns know if you will allow me to buy it. The owner is a friend of mine and she knows where to contact me. Again, I absolutely love this quilt! Fun quilt. And how fun that your daughter added her own touch with the mouse. Makes it extra special. A similar project, a wolf quilt for my daughter, started me in my quilting obsession. Welcome to a whole new world! Your kind words are greatly appreciated. I am sew happy with this new hobby/obsession and will certainly be sharing more projects on the Generations site! I love it! Erin is a very lucky girl to have you for her mom.